The highly qualified practitioners at Blossom Clinic in Portland can help you achieve your dream of conceiving and delivering a healthy baby. 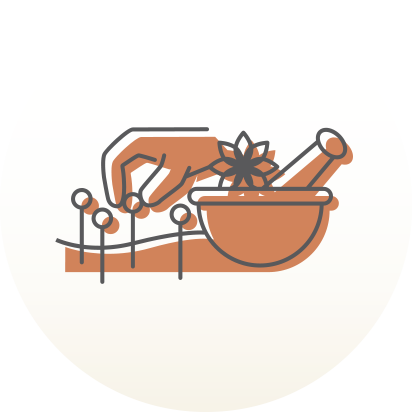 Integrated treatments plans include fertility acupuncture, naturopathic medicine, herbal therapy, massage, nutritional therapy, and general lifestyle recommendations. We have a great relationship with local fertility clinics and Reproductive Endocrinologists and we’re here to support you and get you ready for IUI or IVF. We treat both men and women for fertility at Blossom Clinic. After Googling fertility and acupuncture in the Portland area I was lucky enough to happen upon Blossom’s website. My husband and I had been trying to get pregnant for 1 1/2 years with no luck. 3 months of acupuncture and herbal supplements later and success! I couldn’t have been happier with Liz, the whole clinic and our experience in general. Both my husband and I will continue with acupuncture at Blossom to treat anything that may come up in the future. get the fertility tips guide! In a recent survey of IVF patients who received co-treatment at Blossom Clinic of Portland, Oregon, 100% of survey respondents reported that receiving acupuncture on the day of IVF embryo transfer was “Very Helpful” to them. All respondents received acupuncture weekly leading up to their IVF Embryo Transfer. And most importantly, of the respondents, 83.3% were currently pregnant or had a child after treatment and 11% were pregnant but had an early miscarriage.